Volcanic islands, dense tropic forests, unforgettable underwater world and many secluded places away from noisy urban life that are perfect for relaxation – you will find all these and more in French Polynesia. The biggest island of the collectivity is known to everyone. It’s Tahiti or, as locals like to call it, “the island of love”. It is better to start exploration of French Polynesia from a visit to this beautiful island as it has sights and entertainment to fit even most discerning travellers. 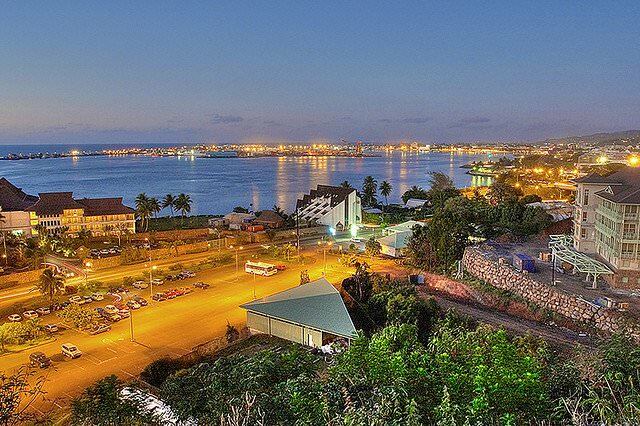 The capital of the island, Papeete, is a wonderful place that has both beautiful nature and interesting landmarks. Among spacious parkways and flowerbeds, you will see such magnificent buildings as Presidential Palace, Notre Dame Papeete Cathedral, the Bishop Residence and numerous monuments, most of which are built to celebrate an important event or a famous person. There are several national parks and reserves on the island. They are very popular with travellers, especially with alpinists who simply adore mountain slopes of Tahiti. Shopping in French Polynesia - best shopping places, what to buy? 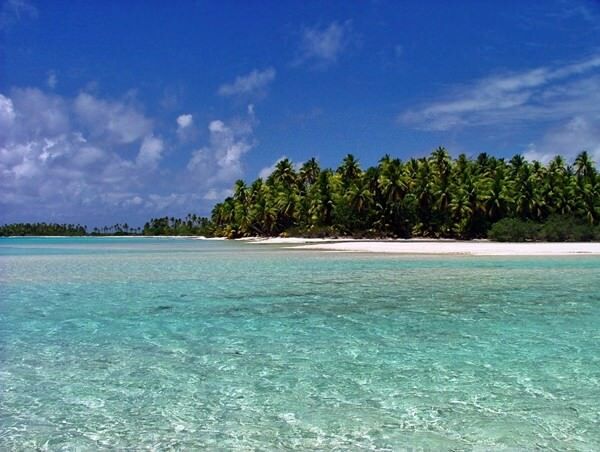 Tetiaroa atoll is a wonderful place that attracts many travellers who come to see rich underwater life, fascinating reefs, exotic birds and white sand beaches. Probably, only Bora Bora can conquer with Tahiti in terms of beauty and unforgettable exotic nature. The main place of interest of the island is also very unusual – the Coral Garden underwater park. Every year many tourists come to Bora Bora to see this park with their own eyes. In Coral Garden, they can see many exotic fishes, shellfish, sharks and dolphins. Besides that, there are more than 40 interesting historic landmarks on the island. The villages of Vaiotaha, Farerua, Poovai and Marotetini hide many interesting sights, such as ancient ritual stones, old buildings and hidden caves. The island of Huahine is known as one of most mystic places in French Polynesia. 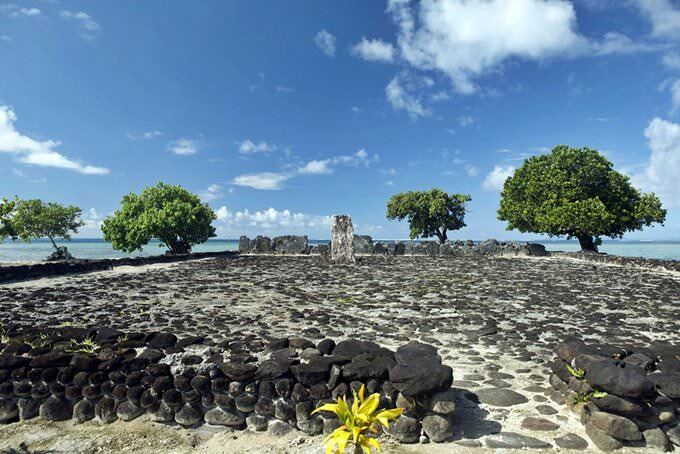 Here tourists can see ruins of buildings that once belonged to the ancient Maui civilization. The remains of their sanctuaries can be found in Vaitotia and Fahia villages. Archaeologists keep working almost everywhere on the island, finding more and more buildings and new facts about life many centuries ago. Many tourists come to the islands for beach entertainments. There are perfect conditions for diving and other water sports. However, you certainly shouldn’t limit your vacation to beach entertainments and viewing nature attractions. You should also pay your attention to local shops where you can buy a lot of interesting souvenirs. The most popular gifts are items of shells. Prosperous tourists have a wide choice of jewels with pearls of the local production. The luxury hotels in French Polynesia, deserving attention of the most discerning traveler. Many shops sell beautiful bottles with fruit liqueurs that have been produced in the islands for many hundred years. The very interesting and symbolic souvenir is a piece of hardened volcanic lava. Artisanal workshops sell interesting wooden items and hand-made accessories. Fans of the food tourism will not be bored too, as the Polynesian cuisine has a lot of interesting features. At local restaurants, visitors can taste a lot of fish dishes and rare seafood delicacies they will not find anywhere else. One of the most famous national delicacies is fish a la tahitienne, the fillet of which is served raw. Before serving, it is marinated in coconut milk and lemon juice. Those who prefer more traditional dishes should taste roasted suckling pig and breadfruit cooked by different recipes. Gourmets shouldn’t limit themselves to visiting only national restaurants. Local markets are very interesting too. Market stalls impress with the diversity of exotic fruit. Some vegetables are grown only here. As markets are visited by many foreign guests, sellers set up explanatory plates with the names of fruit and vegetables on their stalls. One of the most important crafts for local residents is the pearl fishery. This process is also a popular tourist attraction. Travelers are offered to visit pearl farms and watch professional divers working. The main attribute of such themed excursions is the visiting of local jewelry shops. This article about iconic landmarks and sights of French Polynesia is protected by the copyright law. You can re-use the content, but only under the condition of placement of an active link to www.orangesmile.com. When numerous French test sites were replaced to Polynesian Islands, the place of the dangerous tests became Fangataufa Atoll. As many other coral islands, this Atoll has a unique nature and diversity of sea world. Should we say that this wonderful place of the planet was polluted by the long-lasting nuclear tests? This test site was used since 1966 until 1996. There were made 15 explosions, 10 of which were made under the ground, and 5 over the ground. On the island were built large tunnels which depth was from 500 to 700 meters. In 1966 on the test site was a serious accident which lead to the deactivation of a part of Atoll. Since 1960 France did nuclear tests on the territory of Algeria. It is more than likely that tests will be held until now if this small state didn’t win its independence back. 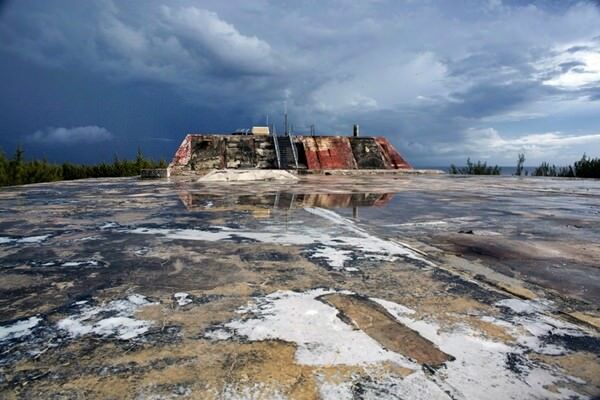 After Algeria independence was recognized, France had to replace the test site on the islands in the Pacific Ocean. Moruroa Atoll was rebuilt in a nuclear test site. The first experiments were held there in 1966. On the islands were made a lot of large tunnels, which length was about 800 meters. On the tiny Nuku Hiva island, that is a part of French Polynesia, have placed the Reptilian Statues of Temechea-Tohua. There depicted the creatures that bear only a passing resemblance to the human. They look like aliens from the thematic literature and descriptions. They have huge oviform heads, that don’t go with the bodies. Several statues give the feeling that they are wearing the exposure suits. Nowadays we can see about several decades of the reptilian. They all are made of stone and have different sizes. It is still a mystery who made it and for what. 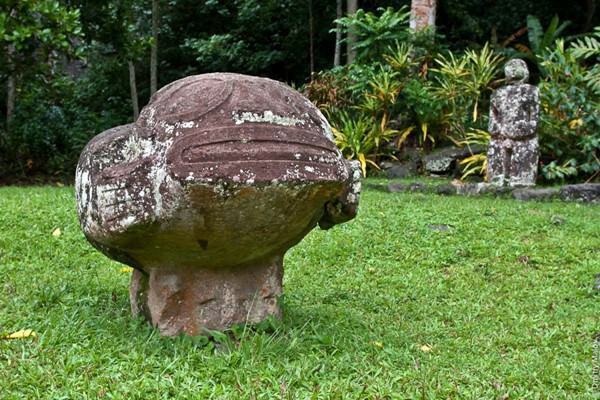 Some researchers suppose that in the ancient times the aliens could lend their spaceships on this island. Also, they say that they got into communication with locals.